Endon Lighting Toba LED illuminated bathroom mirror is a stylish rectangular design mirror with 20 cool white LED lights around the edge. The product code for this Endon bathroom mirror is 51898. 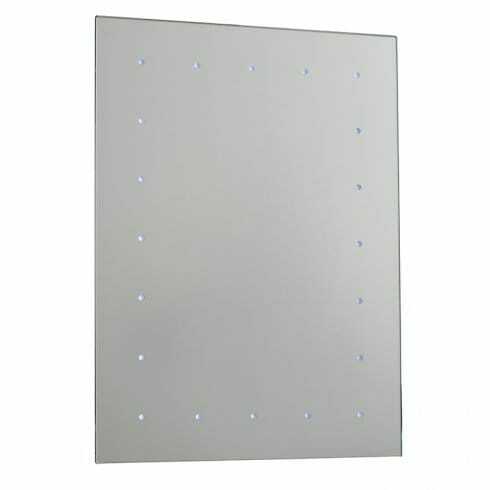 A simple LED bathroom mirror which is operated by a handy push button switch and there is no wiring required as the fitting is battery operated and require 3 x AA batteries. This product is double insulated, IP44 rated, and comes with a 2 year warranty.